Coupon With Cents > Forum > Online Deals > Check out Gazelle! Are you like me and just have your old phones in a junk drawer somewhere in the house? Yep, that's me!! Probably 10 old phones just hanging out collecting dust! I wanted to tell you about Gazelle! 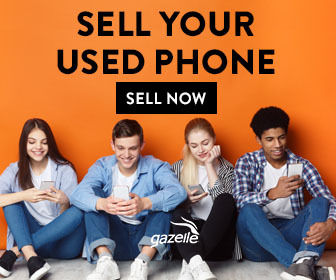 It is a cool new way to sell your old phones!! As a bonus incentive, refer a friend & get $10! !